Detour off The Royal Mile down Lady Stair’s Close, one of Edinburgh’s medieval pedestrian alleys, and step into Scotland’s literary heritage. The Writers’ Museum, housed in the early 17th-century Lady Stair’s House, immerses visitors in the lives of Robert Burns (1759-1796), Sir Walter Scott (1771-1832), and Robert Louis Stevenson (1850-1894). In addition to manuscripts, original illustrations, and first-edition books, displays pair ephemera and artifacts with quotations and tales. Perusing personal items, sculptures, photographs, and letters provides a glimpse into each writer’s life, from childhood to death, and an understanding of what fed each man’s genius. Sir Walter Scott’s life occupies the main hall, where displays include the first edition of “Waverly,” the press on which it was printed, the author’s childhood chess set, and the dining table from his 39 Castle Street home. The rooms dedicated to Burns ensure that just like the words he wrote, the bard’s “auld acquaintance” will not “be forgot.” Among the oddities shared are his swordstick, snuffboxes, and writing desk. Descend the circular stone stairway to discover the inspiration for Stevenson’s swashbuckling flights of fancy. These sprung from his mind, fueled by ill health and worldly adventures, as explained by displays of photographs and personal items, including his fishing rod, riding boots, a pipe, and a ring given to him by a Samoan chief. 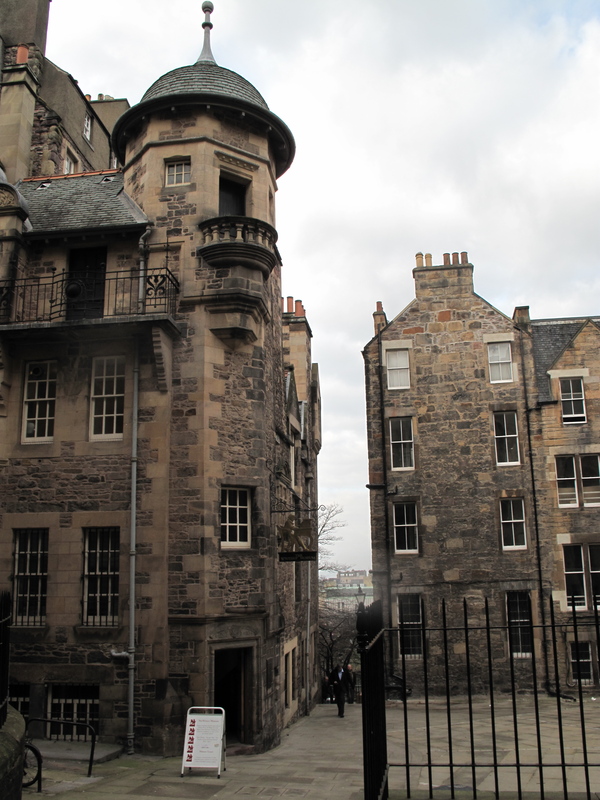 Temporary exhibits highlight other literary notables and themes, and outside the museum is Makar’s Court, where inscribed flagstones highlight achievements of about a dozen Scottish writers. Tags: Edinburgh, Writers Museum. Bookmark the permalink.